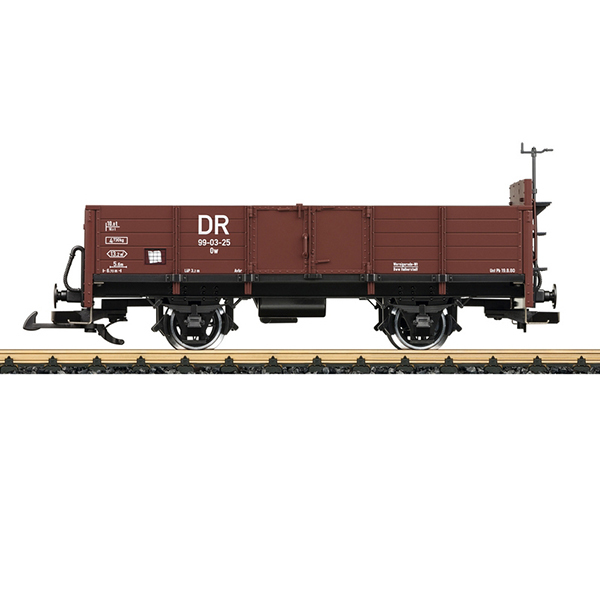 Model: This is a model of the DR type Ow gondola. This is the version with wooden walls and sheet metal doors, with high end walls, and a hand brake. The paint and lettering are prototypical for Era IV. The car has metal spoked wheel sets. Length over the buffers 30 cm / 11-13/16".